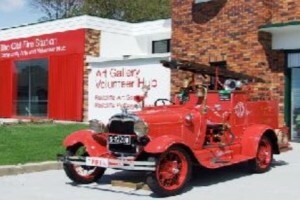 Tickets are still available come to the general meeting this Thursday night, 14th June, Old Redcliffe Fire Station at 6.30pm and buy your tickets. 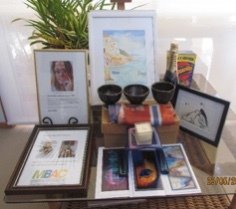 The raffle will be drawn Wednesday 26th June at the Redcliffe Cultural Centre. 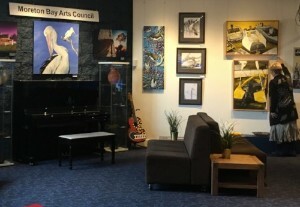 Also the People’s Choice prize $50 will be drawn from the Voting box for “The Boys are Back in Town” Exhibition. Call in, check it out and vote. 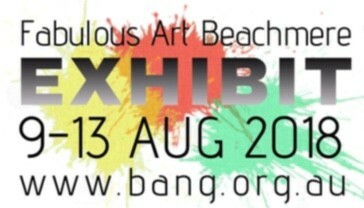 Congratulations Carte Blanche Group on “Tidal Dreams” outdoor art event -Between the Tides … MBAC is very proud to support this event and looking forward to next year already. Mon-Fri: 9 am - 4 pm. Applications for stall holders now open - closing date 20 July. a showcase event celebrating participants from this years Cultivate the Arts Intensive program and the Start Up Moreton Bay program facilitated by Edgeware Creative Entrepreneurship with the support of Moreton Bay Regional Council, Regional Development Australia and the Queensland Government. 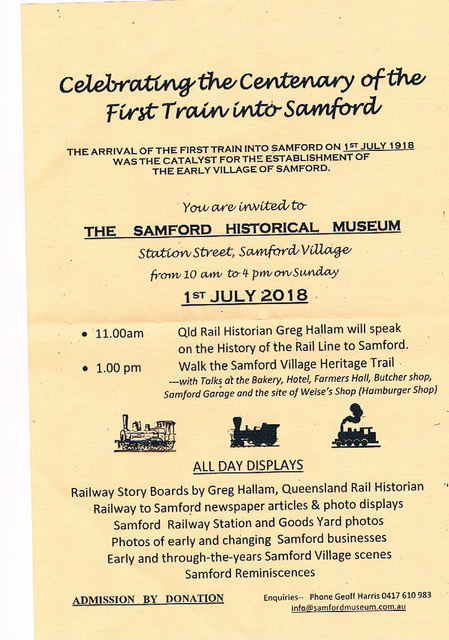 You are invited to celebrate the centenary of the first train into Samford. Suits ages 8 - 18. To enter the NEXT GENERATION ART PRIZE 2018. 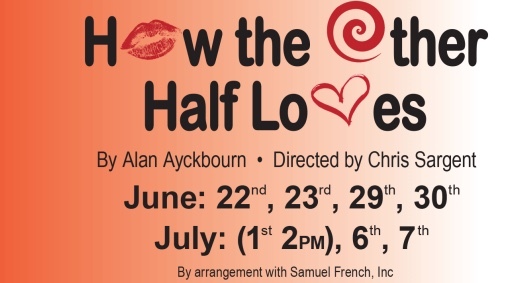 First and second Saturday of each month plus the fourth Sunday. Still some spaces availble. Check the updated calendar. Queensland Regional Art Awards - Early Bird Entries Close This Month! 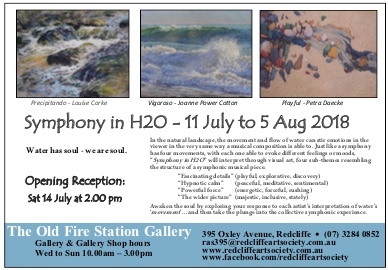 Coming Attractions June Redcliffe Cultural Centre. June Edition of Writers' Grapevine. 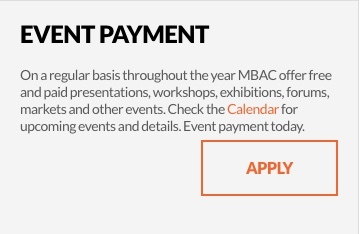 Make an event payment from our Website Home Page. 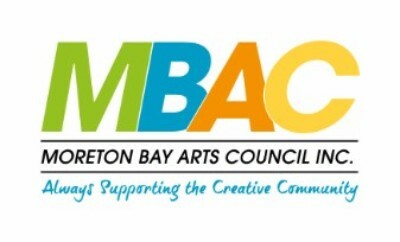 Button on our MBAC website Home Page so you can add your listing to Moreton Bay Regional Arts Directory (MBRAD) which is complimentary for 2018. Check our Website Events Calendar here. P.S. Don't forget our regular monthly meetings, 2nd Thursday of the month, 6.15 pm at Volunteer Hub, Old Fire Station, 395 Oxley Ave, Redcliffe. Meet and mingle with fellow creatives.